I’ve started a new thing, where I choose inspiring quotes to share on Mondays. Because Mondays can feel a bit overwhelming, and I can always use a little motivation. 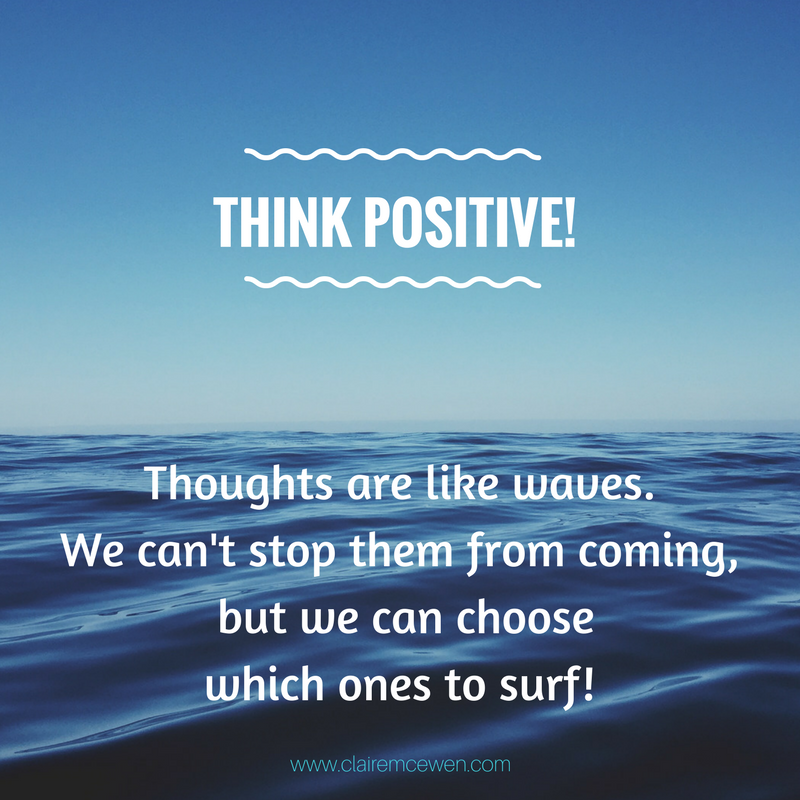 This quote, about choosing our thoughts, caught my eye this week. I’m a good example of that phenomenon. I got pretty tired the past couple weeks, what with my son not sleeping so well, and busy, busy life. By yesterday I could not think of one good thing about my day. Now, it wasn’t the easiest day, mind you. It was a day full of mistakes and mishaps. I broke my blog. Things exploded in the kitchen, or got dropped, or spilled. I ended the day with a drinking glass stuck down in my disposal, blocking the drain. I could not get that thing out no matter what I tried! And I tried, and I tried, until I was so frustrated! And then my husband came home and worked his powerful dude-magic and got it out. It was a tough day, but a lot of what happened could have been kind of funny if I’d been in the right mood. But because I was tired, I got negative, and all that negativity made me even more tired than I already was! I’m trying to remember that how I perceive things has a lot of power. I give minor events power over me, by letting them matter. I can choose to get upset, and I’ll feel bad. Or I can choose to find the humor, and have a good laugh. Or, I can choose to set the problem aside in hopes that dude-magic, or something else, can fix it. 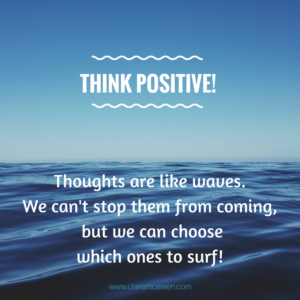 It’s all in how I see it… so this week, I’m going to practice surfing the waves of life, and hopefully I’ll have a lot more fun than I did yesterday.